Western Watersheds Project and our allies (represented by the Center for Biological Diversity) are proud to announce that we’ve reached an agreement with Wildlife Services that requires an updated Environmental Impact Statement (EIS) which analyzes the effects of its wildlife killing programs in sixteen counties in northern California, and limits the use of cruel trapping and killing devices in the meantime. This is good news for wildlife, including the recovering wolf population in the region! This agreement is especially important for wolves because they are just starting to return to native habitats in northern California, and the government has agreed to take extra precautions in the region so as not to accidentally kill or injure them. The settlement agreement applies to California’s “North District,” which includes Butte, Del Norte, Glenn, Humboldt, Lassen, Mendocino, Modoc, Nevada, Plumas, Shasta, Sierra, Siskiyou, Sutter, Tehama, Trinity and Yuba counties. Pending the completion of new EIS, Wildlife Services won’t be able to use poisons targeting mammals (including M-44 cyanide bombs and den fumigants) or lead ammunition anywhere in the region. It will also be prohibited from using body-gripping traps and aerial gunning in Wilderness or Wilderness Study Areas. Because these wildlife killing methods are often employed at the behest of the agriculture industry on public lands, today’s agreement also means that wildlife can be a little more wild and not suffer needlessly from the inhumane methods Wildlife Services usually uses. The forthcoming environmental analysis will be subject to public comment and review, so WWP and our members will be sure to fill the record with the best available science supporting the importance of predators and the harms of lethal wildlife management on public lands. The new plan will be a much needed update on antiquated ideas about killing predators for the livestock industry and giving wildlife fair treatment in their habitats. Congratulations also to our co-plaintiffs Center for Biological Diversity, Animal Legal Defense Fund, Project Coyote, Animal Welfare Institute, and WildEarth Guardians. Thanks! Today’s settlement also requires Wildlife Services to analyze the environmental impacts of its killing of coyotes, bobcats and other wildlife in 16 counties in Northern California. The ironically named Wildlife Services is a multimillion-dollar federal program that uses painful leghold traps, strangulation snares, poisons and aerial gunning to kill wolves, coyotes, cougars, birds and other wild animals — primarily to benefit the agriculture and livestock industries. Under the court order approved today, Wildlife Services must provide, by the end of 2023, an “environmental impact statement” that analyzes the effects and risks of its wildlife-killing program in California’s North District. The North District includes Butte, Del Norte, Glenn, Humboldt, Lassen, Mendocino, Modoc, Nevada, Plumas, Shasta, Sierra, Siskiyou, Sutter, Tehama, Trinity and Yuba counties. Pending completion of that study, which will include robust public commenting opportunities, the court order imposes several measures to protect wildlife in the North District. It bans the use of M-44 cyanide devices, den fumigants and lead ammunition. It bans aerial gunning and any use of body-gripping traps, such as strangulation snares and steel-jaw leghold traps, in designated wilderness and wilderness study areas. The order also requires Wildlife Services to implement several measures to protect California’s endangered gray wolves from being accidentally killed in traps set for other carnivores. These measures include a ban on Conibear traps and non-breakaway snares in areas used by the wolves. 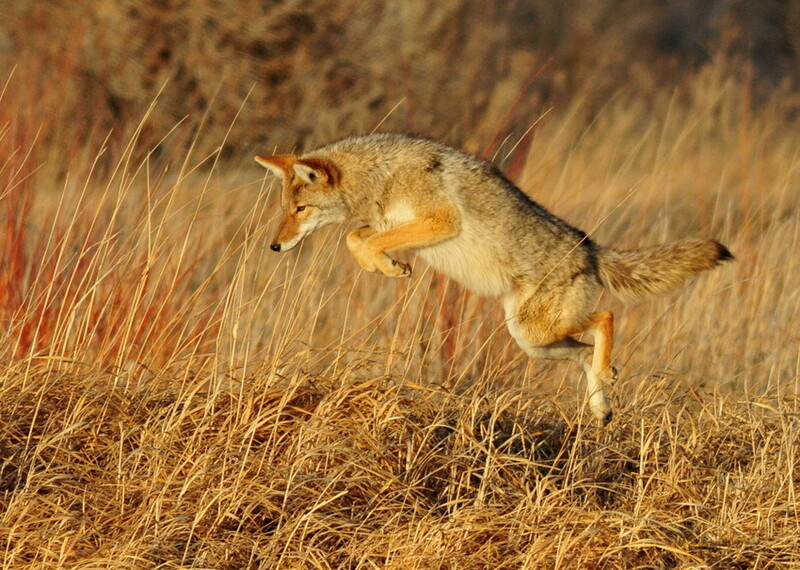 Last year Wildlife Services reported killing 1.6 million native animals nationwide. In California alone this total included 3,893 coyotes, 142 foxes, 83 black bears, 18 bobcats and thousands of other creatures. Nontarget animals — including protected wildlife such as wolves, Pacific fisher and eagles — are at risk from Wildlife Services’ indiscriminate methods. The victory announced today is the result of a lawsuit filed in June by the Center for Biological Diversity, Western Watersheds Project, the Animal Legal Defense Fund, Project Coyote, the Animal Welfare Institute and WildEarth Guardians. Coyote photo by Tom Koerner, USFWS. Images are available for media use. The Animal Legal Defense Fund was founded in 1979 to protect the lives and advance the interests of animals through the legal system. To accomplish this mission, the Animal Legal Defense Fund files high-impact lawsuits to protect animals from harm; provides free legal assistance and training to prosecutors to assure that animal abusers are punished for their crimes; supports tough animal protection legislation and fights harmful legislation; and provides resources and opportunities to law students and professionals to advance the emerging field of animal law. For more information, please visit http://aldf.org. The Animal Welfare Institute (http://www.awionline.org) is a nonprofit charitable organization founded in 1951 and dedicated to reducing animal suffering caused by people. AWI engages policymakers, scientists, industry, and the public to achieve better treatment of animals everywhere — in the laboratory, on the farm, in commerce, at home, and in the wild. Project Coyote is a national nonprofit organization and a North American coalition of wildlife educators, scientists, ranchers, and community leaders promoting coexistence between people and wildlife, and compassionate conservation through education, science, and advocacy. For more information, visit http://www.projectcoyote.org. WildEarth Guardians works to protect and restore the wildlife, wild places, wild rivers and health of the American West. Wolf Photo courtesy of Gene Tremblay, Jackson, WY. Thank you!